Progressive Debt Relief is a debt settlement agency located in Winter Springs, Florida. Since 2005, the company has been assisting customers to improve their financial situations through debt settlement, refinancing, and consolidation services. Free consultations and educational resources are provided to interested consumers. There are no upfront fees charged to consumers until a debt is completely resolved with a creditor. 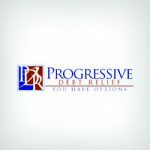 Progressive Debt Relief does not appear to offer a money-back guarantee to its customers and there is no pricing information for provided services on its corporate website. The company does not have any known accreditations, awards, certifications, or accolades from industry authorities posted on its website either. 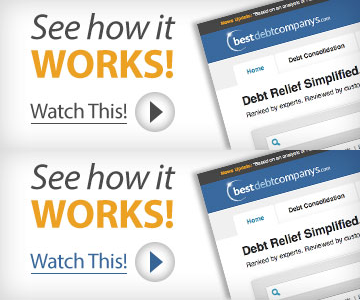 Progressive Debt Relief offers a comprehensive education center on its corporate website. Consumers are able to access information on credit cards, saving, foreclosures, debt management plans, and more. Customers can access their online account anytime for updates and are also assigned an account manager to provide any needed assistance. A professionally trained counselor will review a client’s financial data and create a personal financial analysis for debt resolution. The analysis focuses on the client’s monthly budget in order to determine affordability in debt repayment. Consumers can expect to pay a monthly payment towards debt reduction. The company will refer consumers to trusted third-party debt settlement providers. Progressive Debt Relief does not charge upfront fees to consumers nor does it charge monthly administrative fees in debt repayments. No debt settlement company is legally allowed to charge upfront fees unless it offers attorney-based services. Progressive Debt Relief does not publicly disclose its pricing structure for services on its corporate website. The company also does not appear to provide a money-back guarantee either. Consumers state in these complaints that they were not informed by representatives of these charges upon enrollment. Progressive Debt Relief offers Florida residents a variety of debt settlement services such as free personal financial analysis, savings plan, repayment programs, and online education center. No upfront fees are charged to consumers, but the company does not disclose what its fee structure is. The company does not have licensed attorneys to assist with legal advice or representation. Progressive Debt Relief offers residents in Florida an online education center as well as multiple debt management programs. It is unclear if the company operates in any other state. Consumers receive a free personal financial analysis with a savings plan and have access to an online financial education center. The company works with creditors to negotiate a settlement with lowered debt amounts and monthly payments with no upfront fees. Service fees are not publicly disclosed on the company’s website. By submitting this form, I consent to receive calls using automated technology from Progressive Debt Relief at the number provided and understand this is not a condition of purchase.